Pinoy Big Brother first big winner talks about how a small loan helped her business grow. When Nene Tamayo took home the P1-million prize for winning reality TV show Pinoy Big Brother in 2005, she thought she was golden. She finally had the money to put up the businesses she’d been dreaming about. Her winnings also included an instant franchise business with Ink for Less. While she successfully ran the Ink for Less franchise until the term ended in 2007, she and her husband, Anthony Plamio, were forced to close the businesses they put up from her winnings from the reality show between 2008 and 2009: a comedy bar in Angono, Rizal, a dance studio in Quezon City, a convenience store, and a printing and corporate giveaways business. But with so many things taking up the couple’s time, they were unable to focus on any of the businesses, forcing them to give up on the ventures one by one. Losing nearly everything was an eye-opener. “Sagad na sagad talaga kami noon,” Tamayo recalls. “Dahil nagkaroon ako ng puhunan, parang lahat ng business gusto kong gawin. Na-excite talaga ako masyado,” she says. On the bright side, though, she recognized it as a learning experience: “Doon naman ako natuto.” And so, when she tried again with a home-based business venture, Nene Prime Foods, she knew she had to be hands-on. 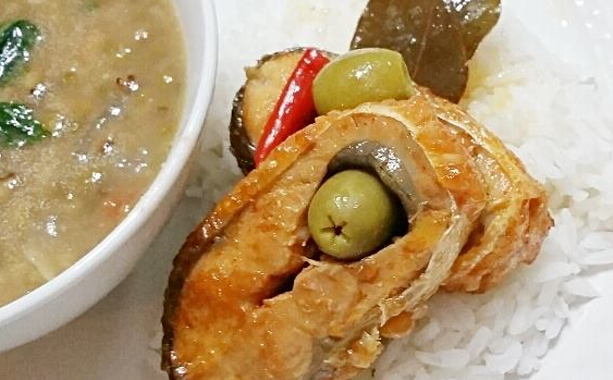 Tamayo set up the business as a single proprietorship in 2011 to make and sell Spanish-style bangus. But, with a young son she needed to take care of, she only went into seasonal production for bazaars and for the Christmas season. Beginning last year, however, Tamayo decided to focus on the business full time. To grow the business, she realized she needed capital. She initially balked at taking on new loans, though she needed to consider it to fund the business. “Initially, I really didn’t want a loan. Ayoko ng obligation dahil katatapos ko lang bayaran yung loan namin for our car.” In fact, Tamayo hemmed and hawed about her loan application to BanKO, the microfinance-focused savings and thrift bank of Bank of the Philippine Islands and Globe Telecom. She started filling up the loan application in September last year, but only completed it in October. BanKO approved the loan in November and agreed to lend her P300,000 after doing a credit investigation on the business. The loan payments, she says, are manageable at P17,750 a month for the next three years. The bank didn’t ask for collateral, but made sure the business had the capacity to pay back the loan. Tamayo says she had to prove to BanKO that Nene Prime Foods was an ongoing enterprise and that it was registered with the Bureau of Internal Revenue, the Department of Trade and Industry, and other relevant government agencies. She also showed loan officers their sales reports and their daily and monthly production schedules. Now, Tamayo’s grateful she got the loan. With the additional working capital, last December, she was able to buy the equipment she needed to really ramp up production: a freezer, pressure canners, steamers, bottles, and packaging labels were all bought using the loan, and she was also able to upgrade their production area with more food-safe stainless steel counters. All in all, she spent close to P200,000. With the boost in working capital, she’s also taking the opportunity to press ahead with plans to export to the United States, Canada, and Dubai this year. She’s already working to get clearance from the Food and Drug Administration for her products, which now include bangus in olive oil, selling for P300; bangus in corn oil, P200; tuyo in oil, P210; tinapa in olive oil, P220; and pickled chili, P100. She also has spicy variants for the bangus, tuyo, and the tinapa. With her renewed focus on the business, she also wants to widen their local distribution channels. 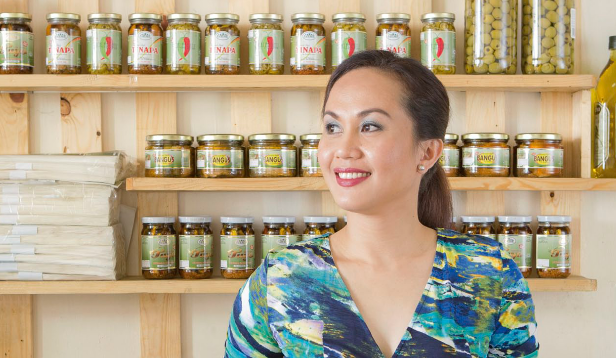 At present, the bangus products are sold at ECHOstore, Sugarleaf, Bibliorganics, and Whole Food Remedy, but she’s also targeting to sell at 7-Eleven, Shell Select, and roasted chicken chain Baliwag, for the pickled chili. With the business gaining traction, Tamayo is feeling golden again. She’s confident she has the best Spanish-style bangus in town and is bullish about the business—helped along by word of mouth, and even a feature on Kris Aquino’s Kris TV, which immediately boosted sales to P500,000 after it came out.